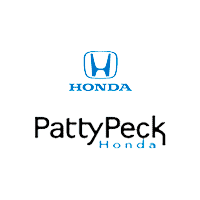 In order to keep your vehicle running like it should, it’s important that the right parts are used every time you need service or vehicle maintenance in Ridgeland, MS. Feel good in knowing that Patty Peck Honda only uses replacement parts that are made for your vehicle’s exact make and model. We don’t cut corners with low-grade parts because we know you will not be satisfied or get the performance you need from your car, truck, van, SUV, crossover or hybrid vehicle. In fact, many of these very same quality and certified replacement parts that your vehicle requires can be found right here stocked and ready in our shop. By having such a vast selection of new parts on hand, we are able to get you in and out of our shop in little to no time at all with the fast and quality service you deserve. For an auto repair service experience you can feel good about, Contact Us today and we would love to help you get your vehicle back to its proper running condition. The Patty Peck Honda Service Department would like to remind you that proper vehicle maintenance is important and one of the best ways to get optimal performance and longevity out of your automobile. Call us today at 601-957-3400 with any questions you may have.